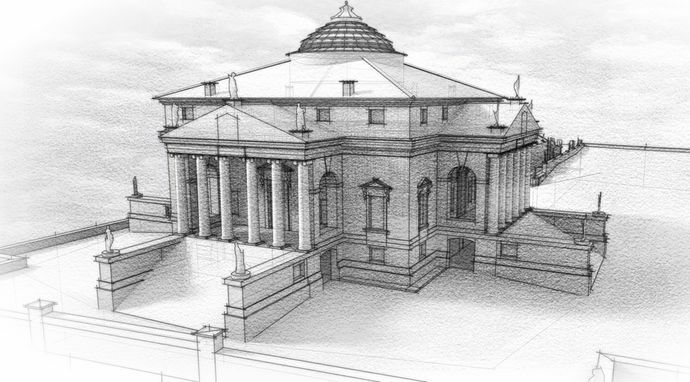 SketchFX Ex and its sibling SketchFX is an artistic rendering solution for SketchUp. Remeber Piranesi? 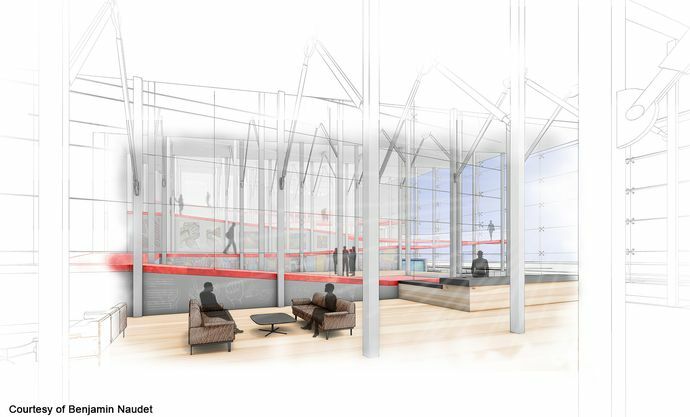 Well, SketchFX Ex is pretty similar to that except it all works directly in the SketchUp viewport. It embellishes your 3D creations with visual enhancements from bloom effects to colour corrections. 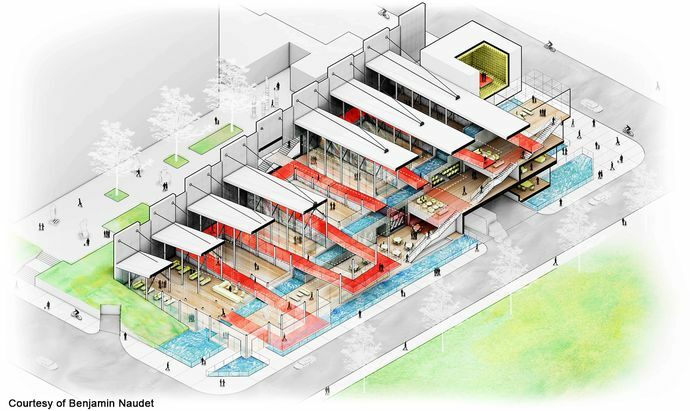 Sort of a shortcut to creating compelling illustrations from your models in SketchUp. It achieves all this with one-click using out of the box presets. How does SketchFX Ex work? So, to the meat and potatoes of SketchFX Ex. As mentioned earlier it behaves much like PhotoShop. Each effect is stacked and blended over the next. The ranges of effects you can mix together are quite extensive. Initially, it is bewildering, but after spending some time reverse engineering the default presets you quickly become more familiar with the process. To break it down a bit more the effect stack can be divided into 4 parameters. Image adjustments are handled using HSL (Hue, Saturation and Value), Brightness/Contrast and Exposure filters. Image enhancements are handled via Bloom, Blur, Vignette, Paint and Depth of Field filters. 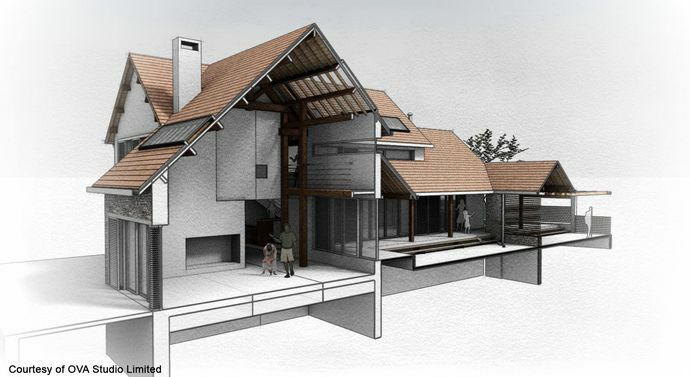 Image layering is possible using external images or scene images and SketchUp Styles. Finally, you can use various masks to target these layered effects. Certain effects can have a parent-child relationship to the previous effect. This allows you to target a specific effect on particular properties. For instance, you can set SketchUp Line Style to be blurred and overlayed over another effect rather than globally blurring the scene. This micro-management of effects can lead to many happy accidents while experimenting. Typically each effect has a multitude of properties to be tweaked. From its opacity to its blend mode. But if you are comfortable in PhotoShop with layering imagery and adjustments SketchFX Ex should be second nature to you. One of the strongest features of SketchFX Ex is the ability to overlay SketchUp Styles, external images and other scenes. Bloom, blur and contrast will only take you so far. But mix in image overlays and then you can get creative. Is SketchFX Ex any good? In the right hands, it is a winning formula. Even with the default presets you get incredible results out of the box. For anyone new to image editing there's a steep learning curve ahead. The actual process of creating your own effects is straightforward. The rendering times are wholly dependent on the amount of effects to be applied and the computational input of that effect. But on a fairly standard machine, you can expect 5 to 10 sec wait on even the most effect-heavy preset. The User Interface is not the most approachable aspect of SketchFX as there are many toggles, sliders and dropdowns to contend with. But it is apparent what each option does. Whilst the sheer depth of options adds a labour intensive layer to creating illustrations you can save your custom creation to file for re-use in other projects. SketchFX Ex is what StyleBuilder for SketchUp should be. A standalone image enhancer for your presentations. Certainly not a tool for novices but if you spend any amount of time in PhotoShop beautifying your SketchUp output this could save you a tonne of time. SketchFX Ex hits that happy medium of not quite the SketchUp look and not the photoreal rendering look. Aimed primarily at professionals who need to sell the sizzle of their designs. 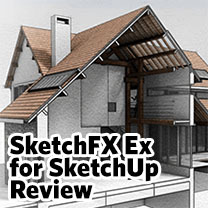 Overall, SketchFX Ex is a very robust illustration tool for SketchUp. But you do need to know what you are doing. You can get impressive results with the default presets. But if you spend some time with SketchFX you yield greater rewards. Anyone that needs quick compelling images for a presentation will love it. You can download a free 10 day trial to see for yourself.